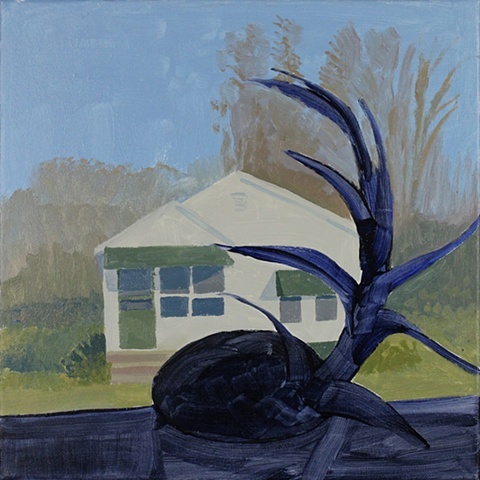 In my work, the interplay of houses and nature are used to articulate interpersonal narratives. 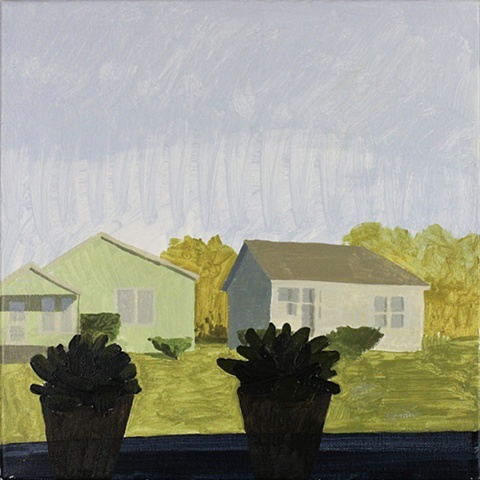 In the Neighbors series, the distance between two houses is a stand in for the longing of intimacy between two realities: man and woman, light and dark, or present and future. 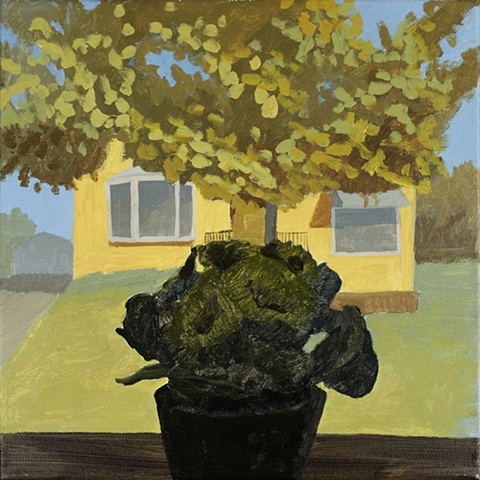 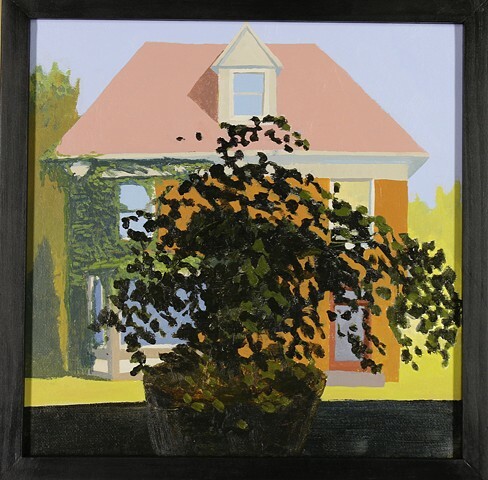 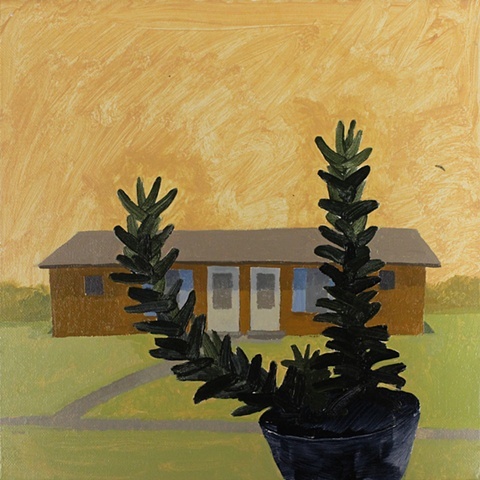 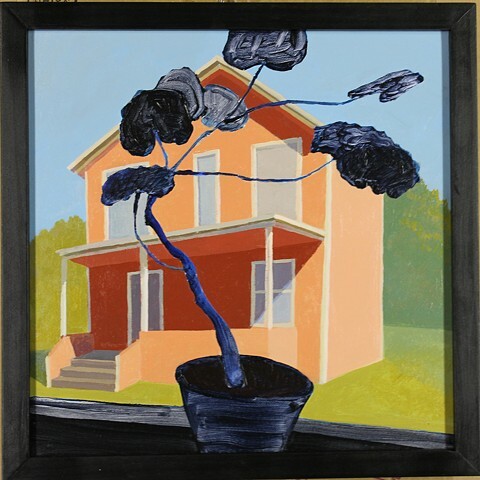 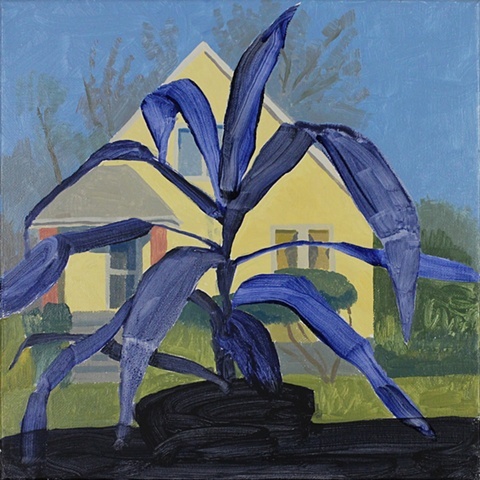 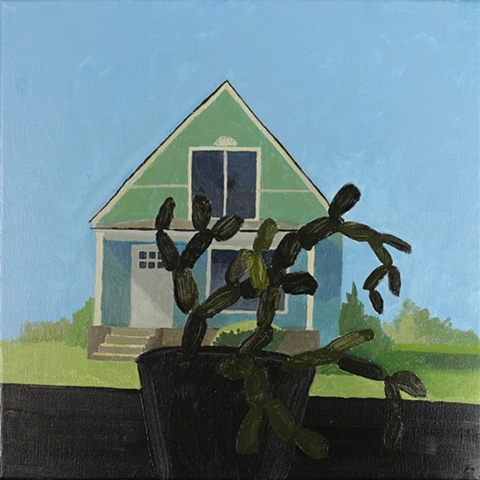 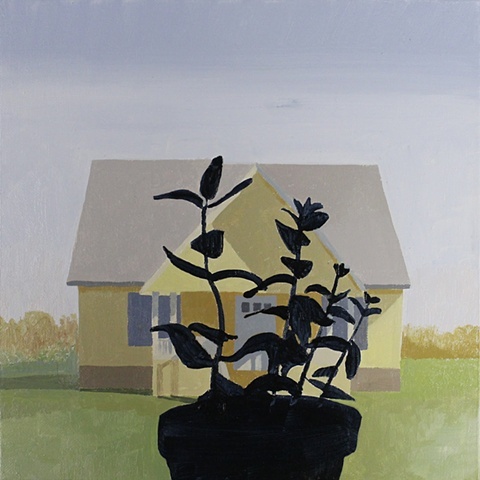 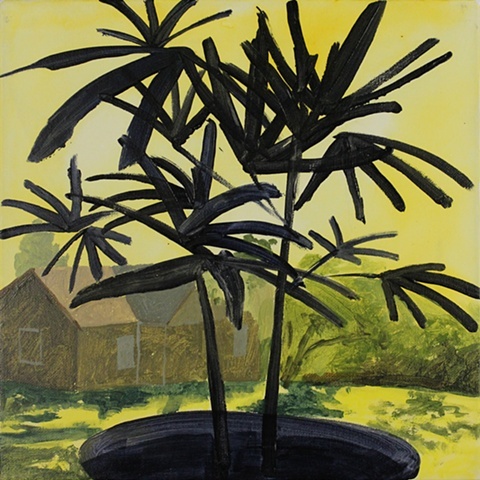 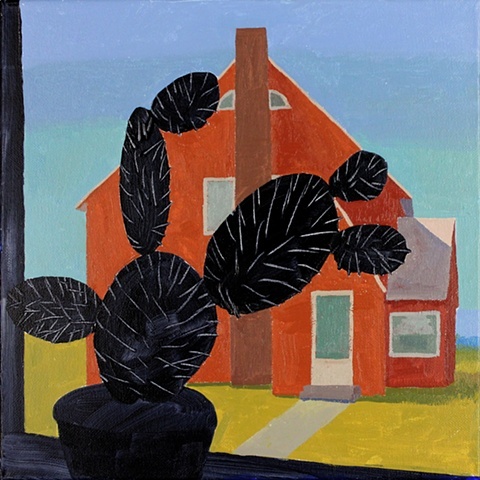 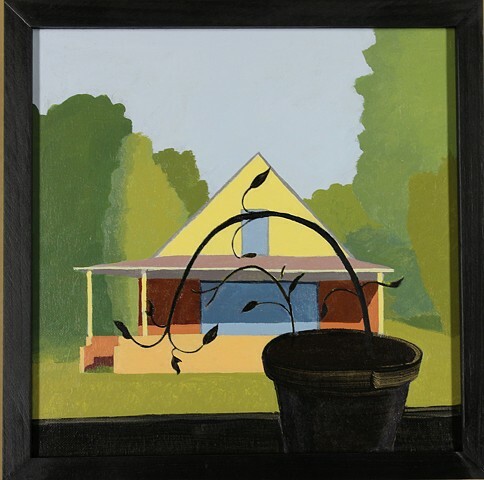 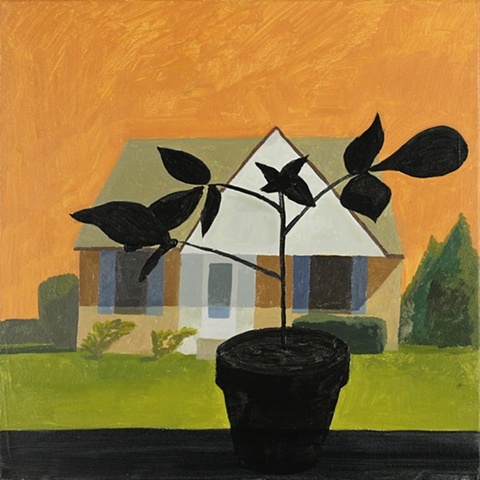 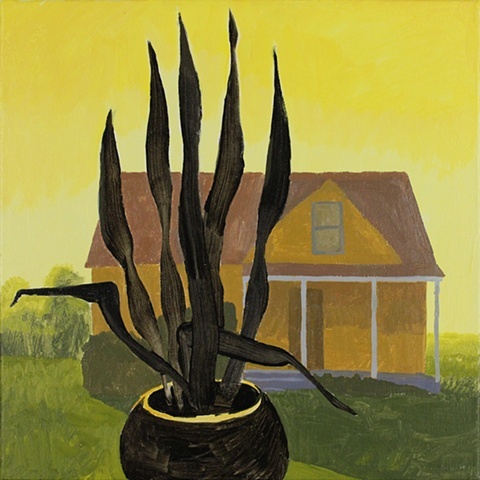 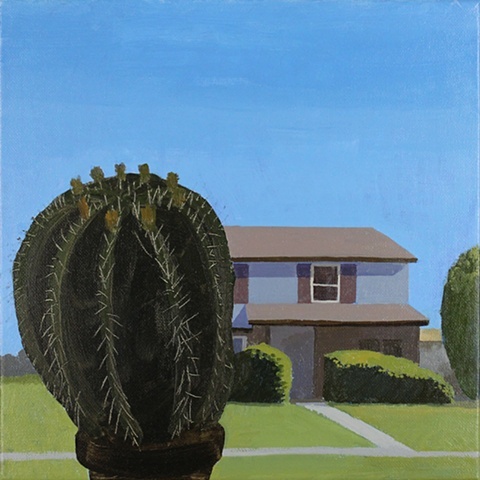 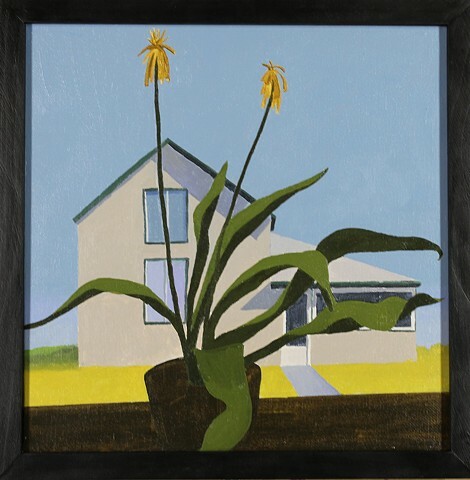 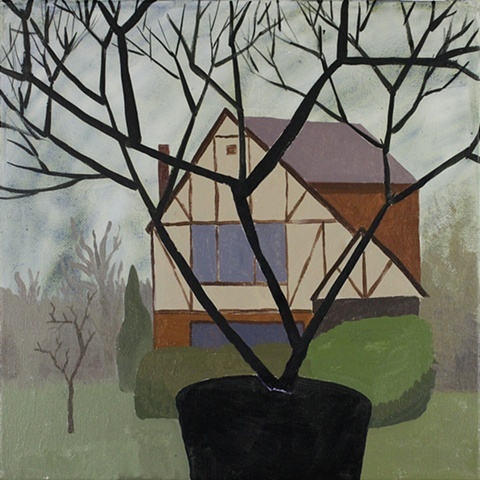 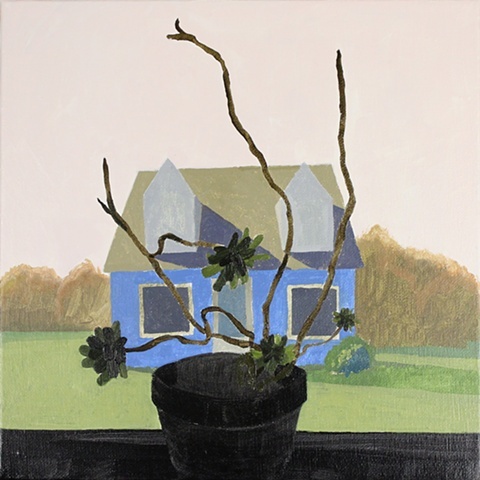 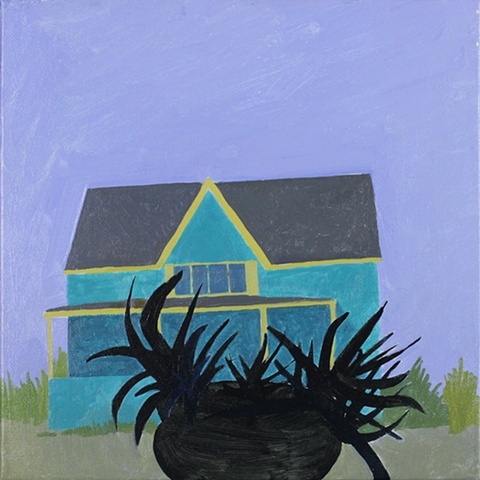 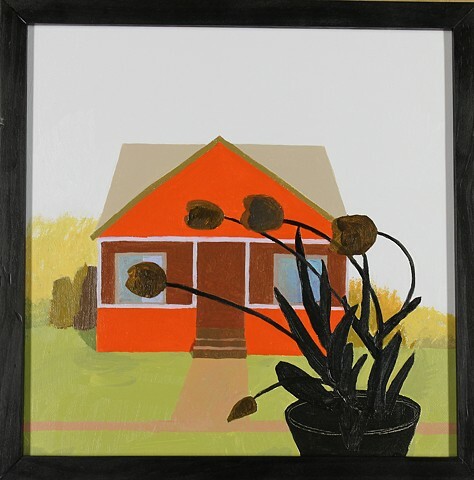 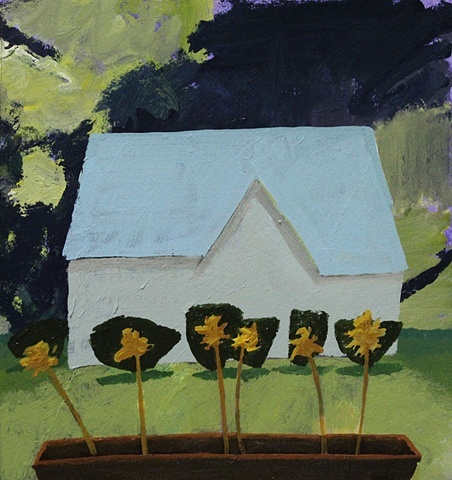 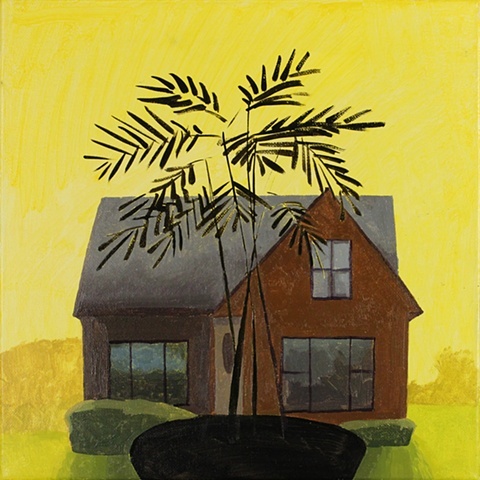 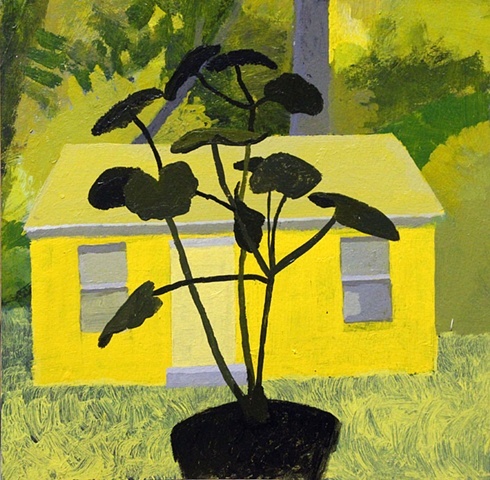 Each painting uses a vantage point of a cabin fevered home dweller gazing anxiously beyond their light starved plants to a neighboring house. 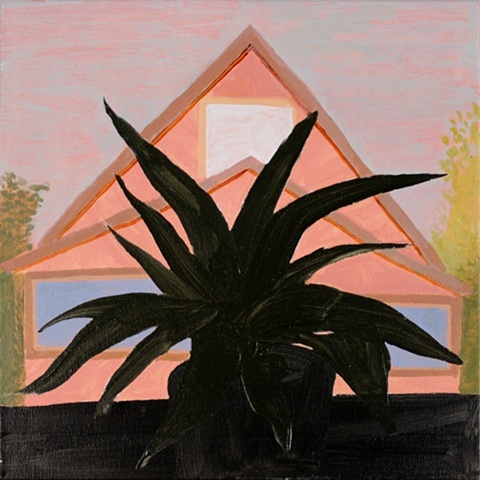 The details of the plants and houses are simplified to emphasize the visual relationships between the plants and houses rather than on the objects individuality. 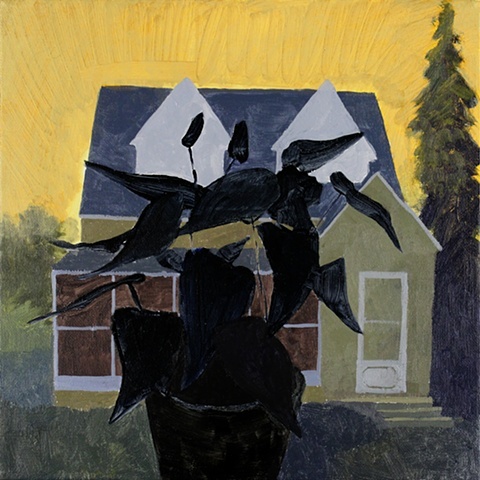 The silhouetted plant forces you to look beyond the foreground and toward the bright landscape. 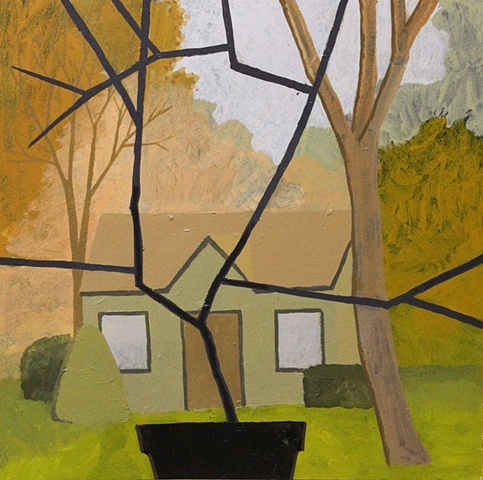 But the distant subject is obscured and fractured by what is nearest to you. 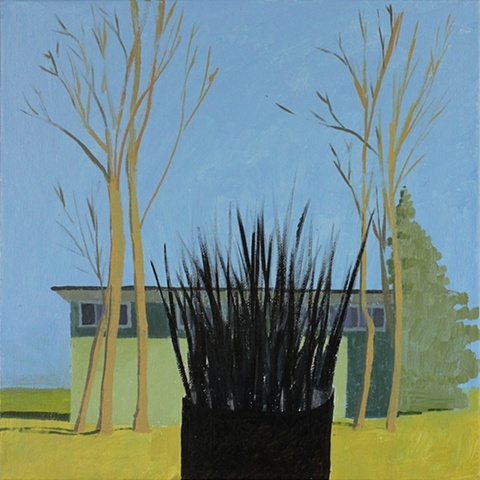 The flattening of form enables familiar objects to break up, abstract at times, and create surprising pairings of edges and pockets of space. 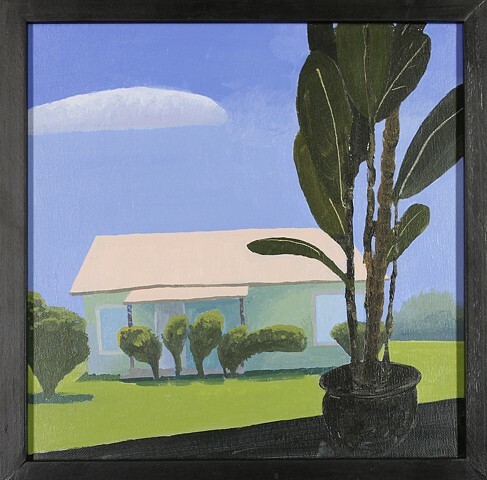 I aim to create both a dynamic formal play of shape and color, and also trigger an emotional response in the viewer of a time when they have been confronted with the space between two disparate realities.